Google Cloud Next’19, San Francisco, April 10, 2019 – Atos, a global leader in digital transformation, today announces Open Hybrid Cloud, a fully-managed, on-premise solution that smoothly transitions businesses from traditional to cloud-native operations, as well as accelerates enterprises’ move to a hybrid cloud strategy as the solution incorporates key components of Google Cloud’s Anthos. Open Hybrid Cloud is Atos’ hybrid cloud hosting environment, based on Anthos, and open source platforms Kubernetesi and OpenStackii. This solution from Atos will help customers adopt hybrid cloud solutions for increased operational efficiency and faster application deployment. This fully-managed, on-premises, private cloud solution enables businesses to move to the cloud with complete security and protection. Additionally, Atos’ Open Hybrid Cloud solution adds Atos’ Infrastructure-as-a-Service (IaaS) capabilities on top of Anthos. It also brings the capability to operate and run Kubeflowiii on-premise and to take advantage of Google Cloud’s Artificial Intelligence (AI) and Machine Learning (ML) expertise. Atos brings its expertise in end-to-end cloud orchestration and management, as well as security and protection, meeting access and control requirements that European and global regulations demand. Atos is a global Leader in Managed Security Services (MSSiv). Its modular identities and access management solutions and military-grade encryption products enable businesses to maintain sovereignty over their own data enhancing greater security and trust in their business processes, and the services and applications supporting them. “Open Hybrid Cloud from Atos accelerates the path for new hybrid cloud capabilities that leverage Anthos. It enables businesses to take advantage of all the benefits of both offerings, including agility, speed of deployment, flexibility and cost optimization, all on a secure, managed platform.”said Eric Grall, Senior Executive Vice President, Global Operations at Atos. 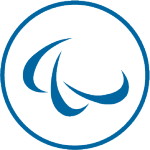 “We’re delighted that Atos is already building services and solutions on top of Anthos. Customers will benefit from Google Cloud technology, including Anthos, as well as Atos’ experience in enterprise transformation,” said Kevin Ichhpurani, Corporate Vice President, Global Partners and Ecosystem at Google Cloud. Since the start of its global partnership with Google Cloud in April last year, Atos has signed multiple major clients to Google Cloud including global companies in the industrial, pharmaceutical, telecommunications and broadcast sectors. Beta access to Open Hybrid Cloud is available now, with general availability expected in the second half of calendar year 2019.
i Kubernetes is an open source container orchestration platform created by Google and now part of the Cloud Native Computing Foundation. iiOpenStack is a free and open-source software platform for cloud computing, mostly deployed as infrastructure-as-a-service (IaaS), whereby virtual servers and other resources are made available to customers. iiiKubeflow is an open source Kubernetes-native platform for developing, orchestrating, deploying, and running scalable and portable machine learning workloads. Eric Grall comes from HP that he joined as a graduate in 1986, and where he held first positions in marketing and R&D in the product business, before entering the Services activities of the Group in 1998. He then had several management positions related to outsourcing, from pre-sales to operations. In 2005, he was appointed Vice-President and General Manager in charge of the Global Services Delivery for HP in the EMEA region, covering outsourcing, consulting and support services and led a major transformation of its delivery model. After the EDS acquisition in 2008, Eric led the ITO activities of the new outsourcing business. Eric joined Atos in 2009 as EVP of the Infrastructure & Data Management Division. Since 2017, he is Executive Vice-President in charge of Atos Global Operations (Infrastructure & Data Management, Business & Platform Solutions, Big Data & Cybersecurity, and Unify Software & Platforms), RACE Program, and Geographic Business Units. 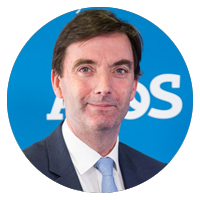 He is part of the Atos General Management Committee since February 2018.